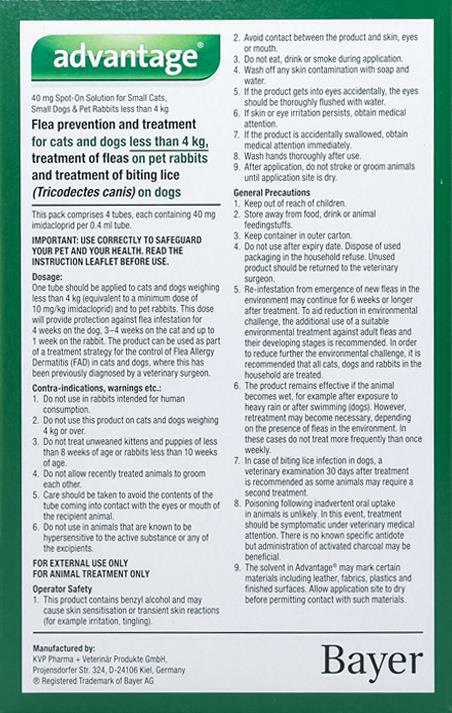 Advantage Green for cats/rabits provides fast relief from fleas. Advantage kills fleas on contact with your rabbit or kitten too. Just follow the weight range directions. It spreads throughout the oily layer of your pet’s skin covering every precious inch of your favorite couch-warming companion. Thank you for your quick delivery and excellent product will order again in the future.